Financial Analysis — CHANCE Management Advisors, Inc. Parking is one of those industries in which a lot of money may be made or lost. CMA has long been acknowledged as one of the best at providing objective, realistic and accurate financial analysis and estimates. 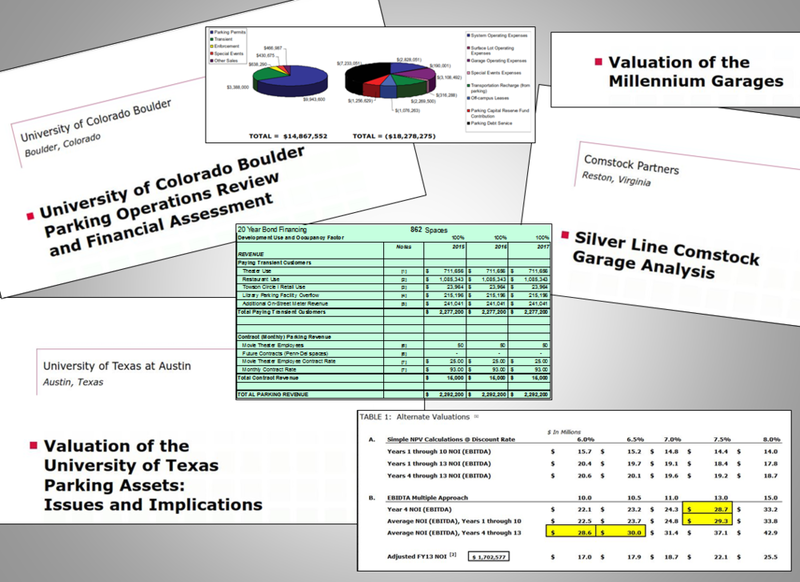 Whether analyzing the potential long-term lease or sale of university or municipal parking assets, or developing financial scenarios to obtain bond funding for a parking garage, CMA has a successful track record in delivering reliable financial performance projections. In addition, the firm's financial deliverables are structured for the client's continued use after CMA's involvement in the project has ended. Thus each financial analysis includes easily understood user instructions, variable "toggles" and highlighted data cells to permit alternative scenario modeling, and extensive footnoting of assumptions and other considerations affecting financial projections. New garage developments, mixed-use projects, buy-side / sell-side advisory services, master planning and capital planning projects, and on- and off-street parking budget estimates are just some of the environments in which CMA's financial expertise have been put to use.